Our bikes are top-quality makes – Monark, Crescent, Ecoride & Gary Fischer. 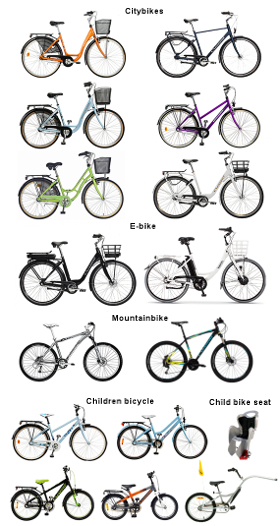 Adult bikes up to 28 inches and children’s bikes from age 3, 12 inches. Helmets and child seats are included in the price.